Our customer’s door was beyond repair. They also wanted to update the existing door. The customer selected a Gliderol Vertical Canopy Garage Door. The new door was installed in no time. A new garage door can make a big improvement to the exterior of your home. 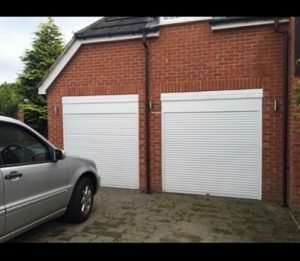 Allendor install all types of garage door and roller shutters. We offer free no obligation quotations. 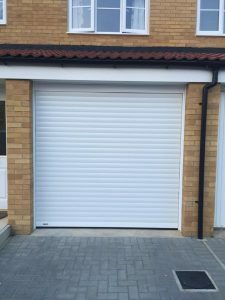 Whether you are looking for a traditional garage door or a roller shutter. Give us a call on 01207 513240 to arrange an appointment. We can offer appointments to suit you, including evenings and weekends. Gliderol doors are available in a variety of sizes and finishes. Another 5* review from a customer in Washington. Another busy start to the week fitting new garage doors. A Gliderol canopy door fitted in Ebchester, Durham. We offer many different styles of garage door and many colours. Garage doors are not only functional but they can also improve the exterior of your home. If you are thinking of replacing your garage door, give us a call. We offer high quality with low prices. A snow day may be fun but not when you have to get to your customers with broken garage doors. We battled through the snow to keep our appointments. It was worth it as Durham is very picturesque in the winter. Happy customer of the day was a small repair. Once again, great feedback was left for us. No job is too small at Allendor. Call or message us for your free quote. Good feedback received today. Another customer happy with their new garage door. 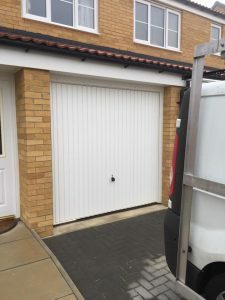 Our customer in Chester Le Street, Durham was very happy with his new garage door. All of our doors all come guaranteed. We conduct a full site survey and provide free quotes. Give us a call for your no obligation free quote. Another happy customer posted feedback on Checkatrade today. 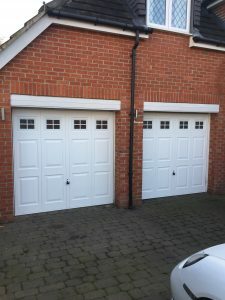 We recently installed garage doors in Durham. 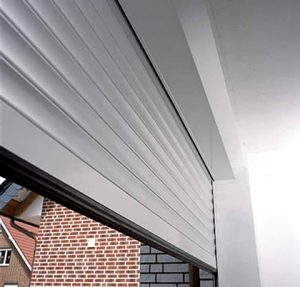 If you are considering a new garage door or roller shutter, give us a call. Our customer in Houghton Le Spring, Durham disliked the Roller Shutter’s on his property. They were not in keeping with the properties appearance. Our customer selected the Hormann Georgian door with windows. We have to agree they look stunning. We have a wide selection of doors available in many styles and colours. Call or e-mail us for your free quote. 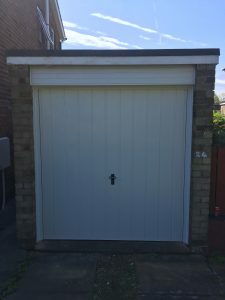 Fitted a new garage door. We pride ourselves on our quality and customer service. 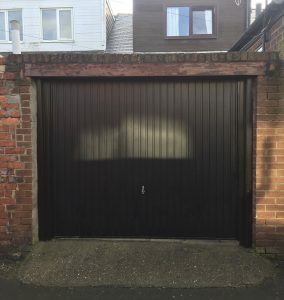 If you are considering a new garage door, roller shutter or simply need your garage door repaired, then check out what our customers think of us first. 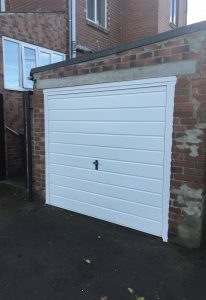 Just one of yesterday’s garage doors fitted in Durham. Our customer wanted to replace their existing up & over garage door with an electrically operated roller shutter. The chosen door is an SWS Securoglide and is guaranteed for 5 years. 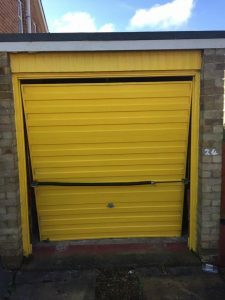 Our roller shutter’s comply with the machinery directive to give you additional peace of mind. For your free no obligation quotation give us a call or drop us an email. We will carry out a full site survey and make recommendations based on your requirements. We will be fitting Roller Shutters in Durham today. Why not give us a call or e-mail for a free no obligation quote.